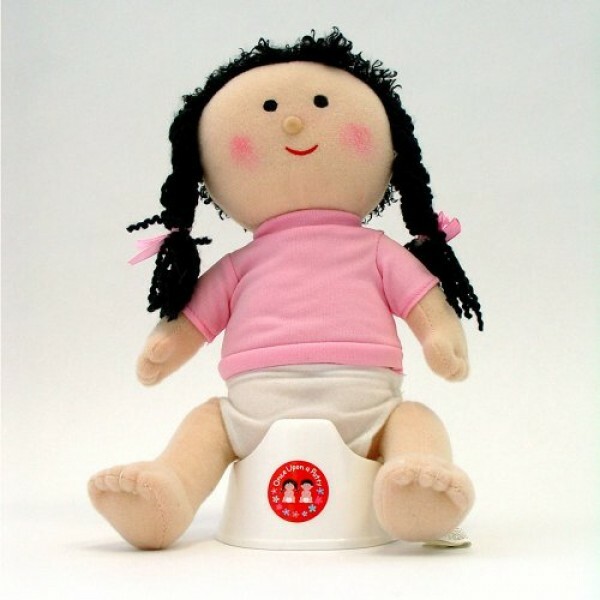 Encourages potty readiness and responsibility, while providing great play value. Gently anatomically correct, with removable diaper and exclusive "Once Upon A Potty" label. Efficient card and polybag pak, with plastic mini-potty seat included. Doll is surface washable and the set is also available in boy version.